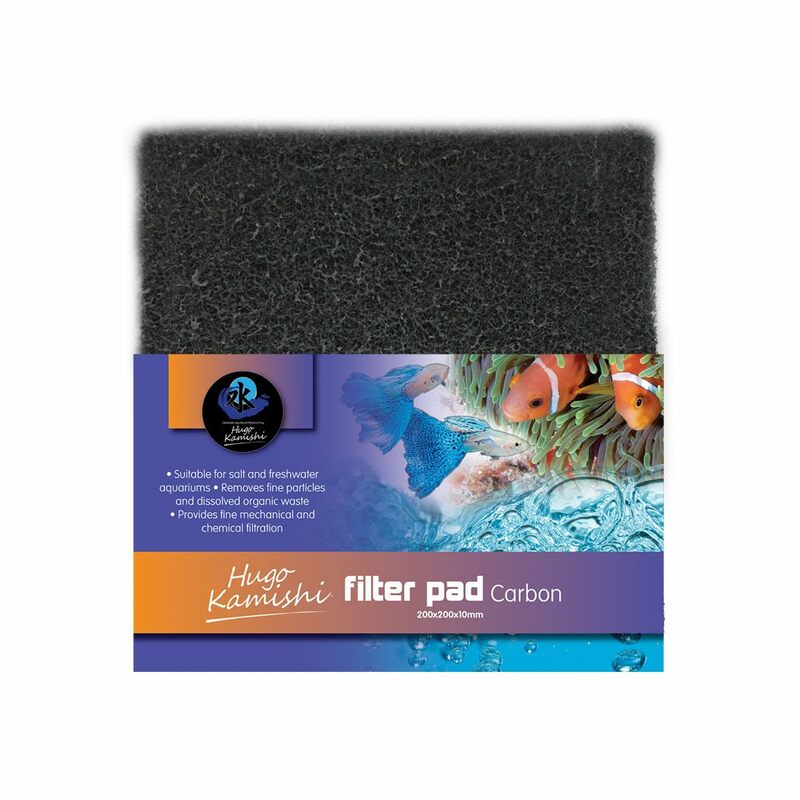 The Activated Carbon Pad traps the fier particles, and helps remove dissolved organic matter. 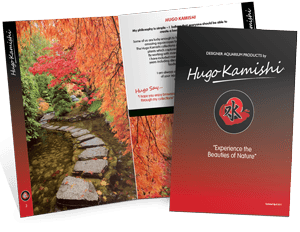 Carbon also removes chloramines, chlorine and heavy metals, as well as helping to maintain the clear water by removing ‘dyes’ from the water. You can Boost mechanical filtration and therefore avoid potential algae outbreak due to excess phosphate levels. 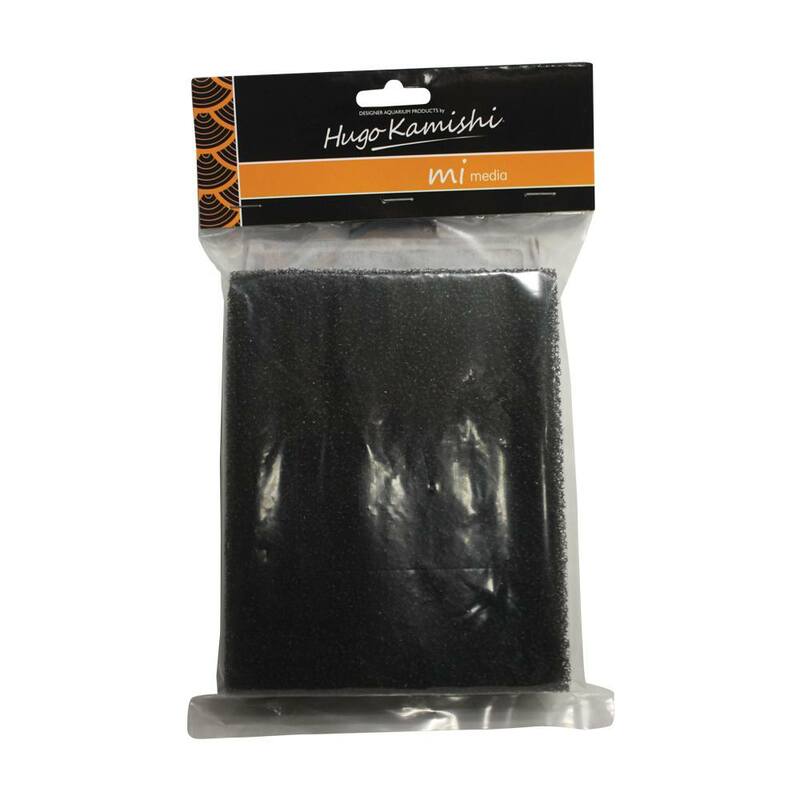 The Hugo kamishi Carbon filter pad is suitable for both marine and freshwater aquariums . It will help to remove the particles and dissolve organic waste . 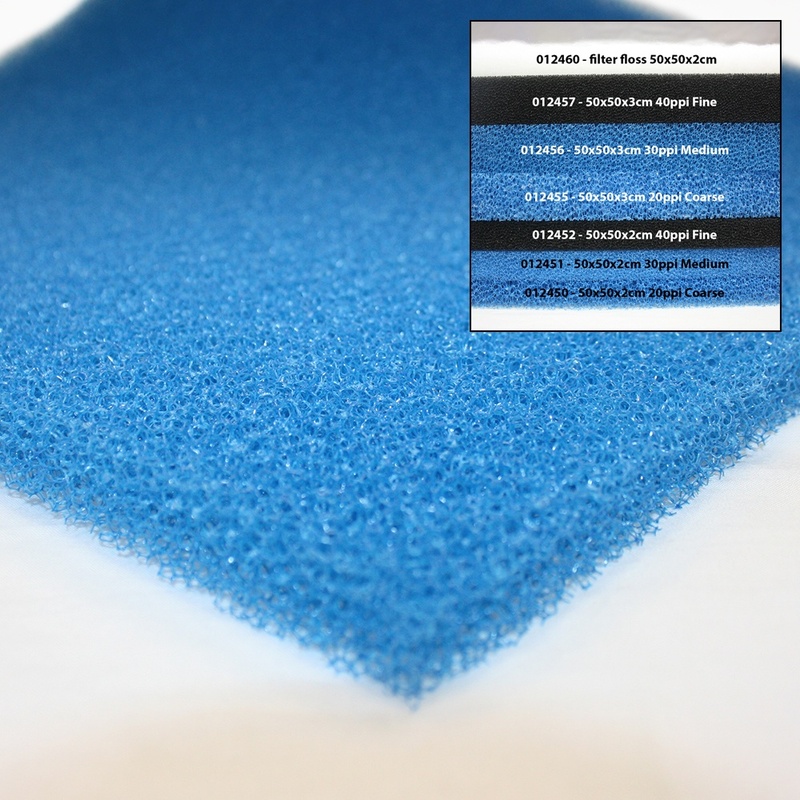 Provides fine mechanical and chemical filtration. 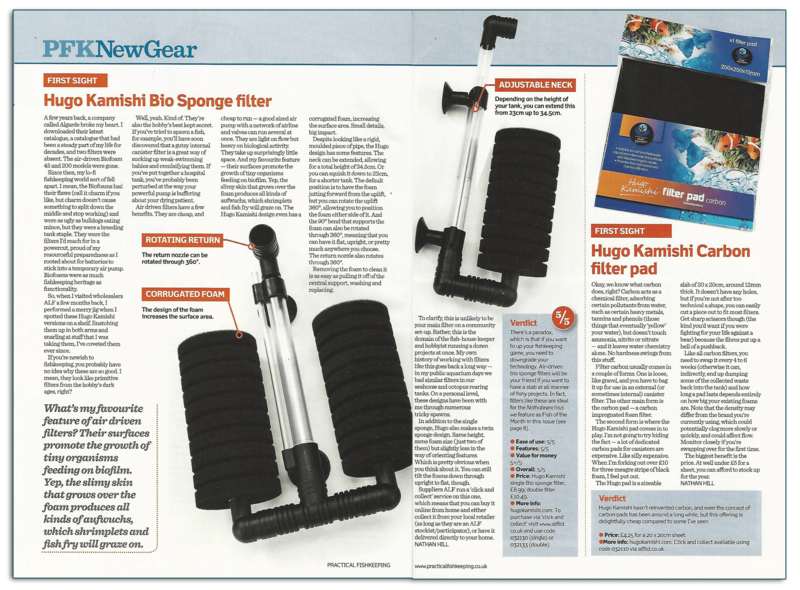 Carbon is excellant at removing organic chemicals from your aquarium water . Please note that ammonia , nitrate and nitrite are all inorganic so using carbon will not help reduce these three ! Carbon is good at pulling phenols and tannins from the water . These are caused by a variety of things such as fish waste , wood leaching , plant decomposition , left over food etc . 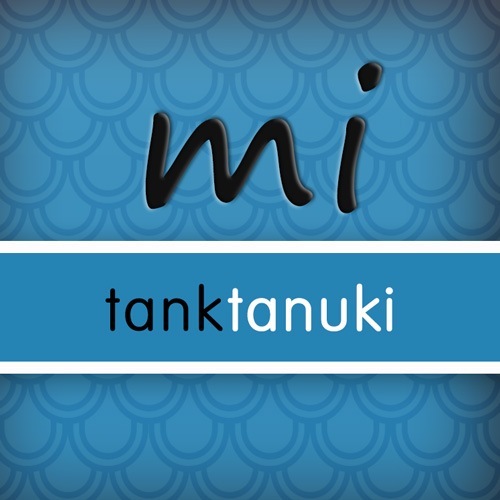 They will begin to discolour the water and in the case of phenols will make your tank a bit smelly . Carbon helps to polish the water and give it that sparkly clear effect . We would recommend that you dont put carbon into your filtration system on the initial set up. If the carbon is placed in too early it is likely to become biologically active as it will get covered in nitrifying bacteria . If this happens then when you need to change your carbon you will also be throwing away good bacteria ! 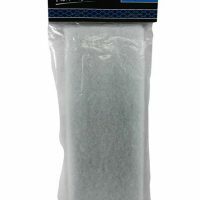 The carbon should always be the item at the end of your filtration process and never at the beginning . In a cannister filter you would expect to see foams / biological media and then the carbon .